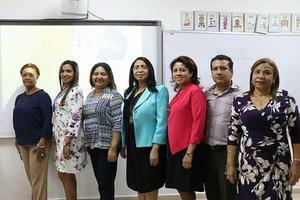 The International School of Panama recently joined a project led by the American Chamber of Commerce which focuses on Leadership for School Directors in the Region of San Miguelito. 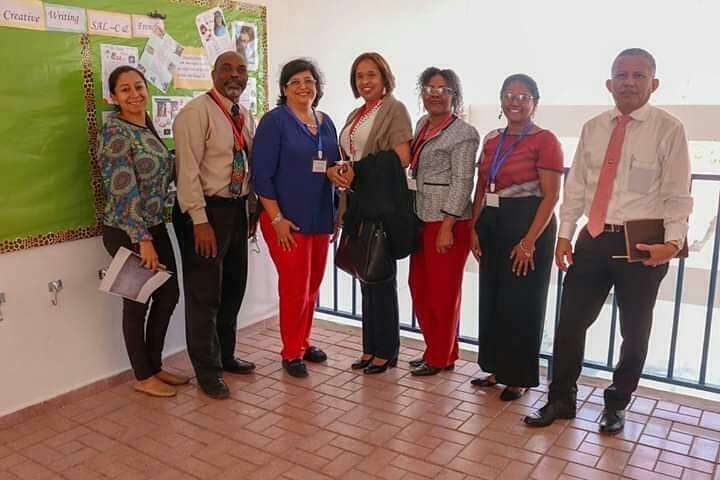 As part of the work together with the Panamanian Chamber of Commerce social responsibility project, directors from 16 san miguelito schools. “They were amazed by seeing our classroom environments and how they are set up for individualized instruction, but with flexibility to do group work and other dynamics. What truly called their attention is our focus on the individual student and attention to character traits. 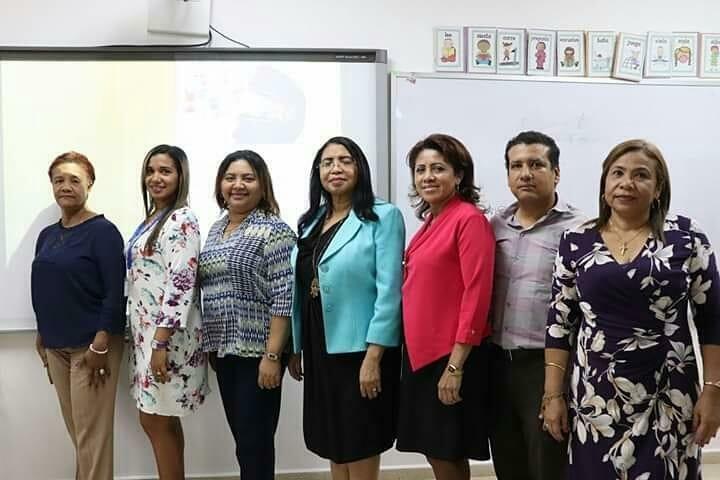 Teachers from San Miguelito has also recently visited our Early Childhood Centre, where our teachers had the opportunity to share their experiences and leadership skills with teaches from Escuela Republica de Corea. 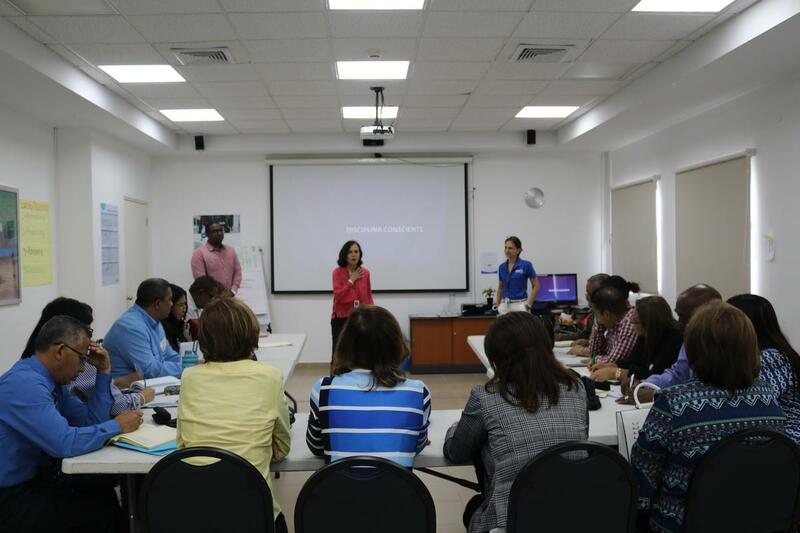 How did ISP get involved in this outreach initiative with the Panamanian Chamber of Commerce (PCC)? The PCC started working with 16 directors from the San Miguelito Region last year. 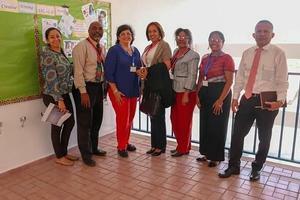 As they started their work they became aware of the support ISP had been providing to the MInistry of Education, MEDUCA, sich a student scholarships and support of teachers appreciation ceremonies hosted at ISP. They contacted us asking how we could help. We had originally thought about workshops but instead invited them to come visit the school and experience a school day. Our hope was that this would ignite their curiosity and their wanting to know more about what we were doing that is different to traditional approaches to education. What has the experience been like? What were their impressions when they were walking through the school and seeing a different approach to what they’re used to? When they came we started with a brief introduction to ISP. we spoke about our flexible sitting, about the character development and all the special projects and initiatives we are undertaking. We explained that they would see something different from their schools and then took them around. Every teacher opened their door and let us in without interrupting their instruction and let us stay as long as we wanted. The tour was only supposed to last a couple-of-hours visit but it ended up being a whole morning at school. They were just amazed by our flexibility and how welcoming teachers were. Many of them also noticed the flexible seating and routines students and teachers follow. These teachers were able to see a different approach with students working independently or in groups, with the teacher coming by ever so often to lend a helping hand if needed. But what truly caught their attention is how we care about character development, they could feel that care of wanting to create responsible citizens. A couple of them came back to me after and asked if they could have some of their teachers come and take observe a day of teaching. I said “yes of course” .this was complemented by the idea of inviting them to the PAIS conference. What better way to learn from others than at a teachers conference. Although they mainly participated in the Spanish sessions, there continues to be an interest in strengthening the relationship with ISP beyond what we have already done. Why is this work important not only to ISP but to Panama? What is our hope in supporting this project? I think that we are very lucky at ISP. We get access to the best training and we are always learning about the latest trends in education. Resources are plentiful and we are able to offer the highest level of education because of it. That is not the case for many public schools, especially those in the San Miguelito region. This is why we believe it's important to continue the work with out sister schools, but also endevor for outreach like this project. We have been reaching out to and increasing our support of MEDUCA. 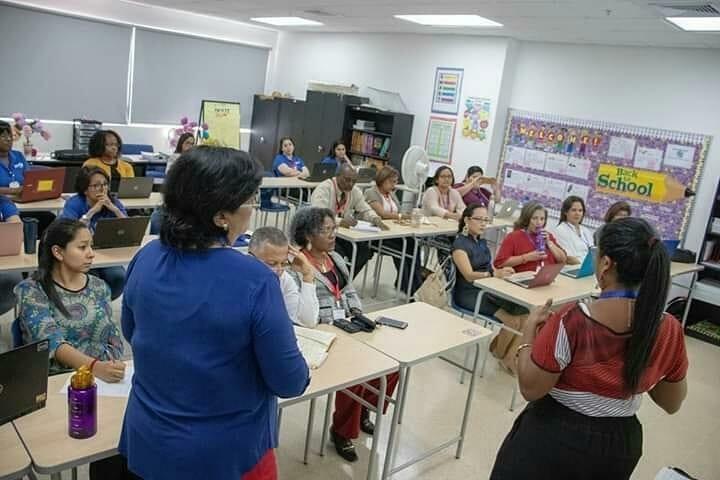 This is the first time we have had the opportunity to work with so many schools at once, and we hope this will open the door to broader collaboration what will help us make a difference in Panamanian education. Once key element is character development. Far to often schools focus on discipline as a form of punishment and ignore the opportunity for growth. Soon we will be running four different sessions on conscious discipline with theses schools, thanks to the support of our counselors in the elementary school. 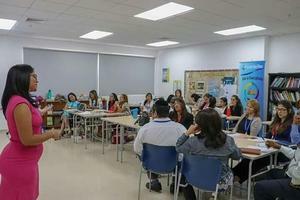 Sharing these skills alone could have a lasting and profound effect on Panamanian education and that is promising.